Sail a 'symbolic circumnavigation' and fundraise for ocean health! Four members of the sailing team received honors from the NEISA this past week. Sailboat Carrying 3 Germans Missing in New Zealand - ABC News: "Three German nationals, including two 19-year-old tourists, are missing off the coast of New Zealand after their sailboat vanished...."
He knows that sailing has been a key influence in his life, and it's taught him some valuable lessons, such as patience, dedication and responsibility. Sailboats on Folsom Lake on Sunday were not only competing for the coveted Camellia Cup but also racing for time on the water this summer. Missing yacht's skipper 'not a communicator' | Stuff.co.nz: "The skipper of the a missing yacht has been described as headstrong and did his own thing. Bluff Marine Radio operator Meri Leask, who may have been the last person to have contact with the skipper of the 7.5-metre Munetra on April 16, said he ''was not a communicator''. The skipper sailing with two females, believed to be foreign tourists, also only had a hand held radio when he left Bluff in rough conditions, she said. The Munetra left Bluff headed for Preservation Inlet at the southwest of the South Island and has not been spotted or heard from since its departure...."
Sailboat runs aground at Catalina Island, 2 injured: "Two people on a sailboat suffered minor injuries, and a third escaped injury, as their vessel ran aground today at Catalina Island. The sailboat ran into rocks off Isthmus Cove, near the settlement of Two Harbors, about 12 miles northwest of Avalon and 27 miles south of Long Beach." Nacra 17 Medal Race - Vittorio Bissaro and Silvia Sicouri (ITA) took Nacra 17 gold following an Australian mistake which saw them sail the wrong course. Laser and Laser Radial Medal Race - Tom Burton (AUS) overcame Andy Maloney (NZL) in the Laser whilst Evi Van Acker (BEL) fought hard to take Laser Radial gold. Finn Medal Race - Pieter Jan Postma (NED) was the happiest man in Hyères after he picked up his World Cup gold in his career. 49er and 49erFX Medal Race - It was a repeat of the World Cup Mallorca podium in Hyères as Peter Burling and Blair Tuke (NZL) walked away with 49er honours and Martine Grael & Kahena Kunze (BRA) picked up 49erFX gold. 470s Medal Race Highlights - Mat Belcher and Will Ryan (AUS) returned to winning ways in the Men's 470 whilst Jo Aleh and Polly Powrie (NZL) made it four Women's 470 wins on the bounce. RS:X Medal Race Highlights - Germany's Moana Delle brought her Olympic sailing career to a glorious end as she claimed gold in the Women's RS:X at ISAF Sailing World Cup Hyères. Piotr Myszka (POL) had Men's RS:X gold wrapped up in advance of the Medal Race. The Conditions for the LEONARD M. FOWLE MEMORIAL TROPHY have been updated to reflect the change in format of the Spring Championships. Captain of sailboat that sank in brutal Atlantic storm tells of harrowing escape | Mail Online: Their ship broke apart and sank about 900 miles northeast of Bermuda - "'We were preparing to die,' sailboat owner Leonard Rorke, 55, of the United Kingdom, told the Coast Guard in a recording posted to the agency's website. He, wife Lisa Rorke, 50, and 29-year-old Henri Worthalter, of Belgium, and a dog named Dexter were instead saved by the crew of a passing freighter.The 49-foot-sailboat Blue Pearl sank Thursday evening after being badly battered from two days of storms, Leonard Rorke told the Coast Guard. 'We were bailing water. It was life and death,' he said in the recording. 'We're very grateful. We are very, very lucky.' The sailboat sank after the bulkhead broke up and the vessel began taking on water, he recalled. 'We had lost everything.' Except for their Jack Russell Terrier." Yacht missing with three on board - national | Stuff.co.nz: "Two helicopters have been making shoreline searches today around the bottom of the South Island for an overdue yacht with three people on board. The 7.5-metre Munetra left Bluff on April 16 headed for Preservation Inlet at the southwest of the South Island. Police Southland area commander Inspector Lane Todd said the yacht had not been heard from since its departure. It had been due back in Bluff around April 22. Police were alerted two days ago by the employer of the skipper who had not turned up for work. At a briefing last night local fishers told police conditions were quite rough for three or four days after the yacht left Bluff. It was hoped the yacht had found somewhere to shelter out of the weather, Todd said. The skipper was a 33-year-old German who had lived in Southland for a few years. He was thought to have two women with him, although details were still being confirmed...."
Sailboat passes under power line, ignites in Dundalk | Maryland News - WBAL Home: "Electricity arched onto the mast of a sailboat that passed under power lines Thursday night, causing an explosion. Three people had to jump overboard to escape the flames. What area residents found most frightening is the fact the sailboat's mast never actually came in contact with the power line...."
Collisions and a bubbly, happy Polish female windsurfer are the name of the game in the Men's and Women's RS:X highlights from the fifth day of ISAF Sailing World Cup Hyères. Also Peter Burling and Blair Tuke have a healthy advantage in the 49er whilst Evi Van Acker (BEL) was leapfrogged by Tatiana Drozdovskaya in the Laser Radial. Highlights from both fleets on the fifth day. PARRY SOUND – Sail Parry Sound is looking for support from the town for the completion of phase two of its boathouse. UNO students in the ship-design project are, from left, David Bonneval, Jason Thompson, Ahmed Islam, Brittan Breaux and Egidijus Jankevicius. In one week the fleet of 12 Extreme 40s, including home nation entry 'Team Extreme Qingdao' will line up on one of the most notorious stadium racecourses on the global tour, at the Land Rover Extreme Sailing Series™ Act 3 Qingdao, for the 'Double Star Mingren' Cup, 1-4 May. The two Acts raced so far this year have produced two different winners, with the Swiss Alinghi sailing to a resounding victory in Singapore, before defending champions The Wave, Muscat clinched victory on their home waters in Muscat, Oman after a four-way shoot out in the final race, taking the overall Series lead with it. Follow all the action here on JohnTheCrowd.com and on the official Series website (extremesailingseries.com) to find which team will have the edge on the 2008 Olympic waters. Scuttlebutt Sailing News: "Team GAC Pindar has named talented young sailor David Gilmour as skipper for Act 3 of the 2014 Extreme Sailing Series™ in Qingdao, China from 1-4 May. Twenty-two-year-old David, son of America’s Cup veteran Peter Gilmour, will take over the reins from fellow Australian Seve Jarvin, who skippered in Acts 1 and 2. The GAC Pindar team had finished in last position in both events. For the 2014 season, GAC Pindar is partnering with Team Australia, the Challenger of Record for the 35th America’s Cup." Gold fleet racing got underway at ISAF Sailing World Cup Hyères with tense competition across ten Olympic and two Paralympic events. Two articles by Somira Sao are in the March/April 2014 issue of Sailing World USA, digital edition available at the App store on iTunes. Frank Cammas is passing the Volvo Ocean Race baton to his trusted Lieutenant Charles Caudrelier, together they won the 2011-12 edition of the race aboard Groupama. We caught up with Franck at the Extreme Sailing Series in Oman where he shared his thoughts. Meanwhile Charles has been busy in Asia putting his new boat and crew through their paces. The Badger Herald · Turning the tide: Wisconsin sailing among elite - The Badger Herald: "...this is hardly an ordinary group of 55 sailors, the number of Wisconsin students claiming spots on the roster of the sailing team. Although that number is closer to 40 in terms of consistently active members, together they make up the biggest team in college sailing. Part of the reason behind that, though, is Wisconsin is not like many college sailing teams, at least not like those teams on the east coast where sailing, squash and fencing are just as much a part of the athletic cultures of the universities as football and basketball...."
Olli and Melissa Marban's Hartland business revolves around sailing - particularly using old sailcloth to make items ranging from bags to iPad cases. Since 2005, this unique venue has hosted Rolex Capri Sailing Week, a yearly rendezvous for first-class yachts and sailors from all over the world. ... an eclectic mix of traditionally built yachts, crewed by passionate sailors, gather in Antigua to enjoy spectacular sailing and playful parties ashore. Basic Sailing Knots - How-To - Why Not Girl! Learn these basic sailing knots whether you're a looking for sail the seven seas of just the local lake this summer. Photographer Franck Socha was on deck for day two of the ISAF Sailing World Cup Hyeres to capture these images. Enjoy! 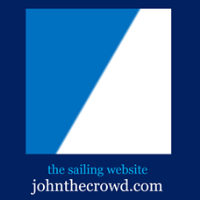 LAHOWIND | Sailing Blog | Welcome to our sailing blog! ... Jereme+Kim+Oliver the dog, as we attempt to navigate a whole new world of sailing! OPTI SAILING ON LAKE GARDA. Apr22 ... ISAF Sailing World Cup Hyeres - US SailingTe ... World Youth Sailing Week - Second edition off. Details about ship CALLINAGO (Sailing Vessel registered in France), including current position, voyage info and photos. MMSI 227275870, Callsign. Sailing clubs on the Isle of Wight will be welcoming newcomers in May, as part of National Watersports Month. New Volvo round-world race yacht is 'Big Brother' with sails ... Great Britain looking to take ISAF Sailing World Cup Mallorca by storm. 06/03. Sailing. Scuttlebutt Sailing News: "(April 21, 2014) – "Racing at the Antigua Classic Yacht Regatta, sponsored by Panerai came to a conclusion today with the Windward Course, a reaching start with a tricky reverse triangle and a reach finish. The breeze was still in but had moderated enough to allow shifts to make a big impact on performance. Several classes were decided on the last day of racing. The magnificent fleet cast off lines and headed out to the race track for the last time until next year!..." The final regatta of the 2013-14 season of the ISAF Sailing World Cup is underway with great conditions for day one of racing in Hyeres, France today. Scuttlebutt Sailing News: "...Later this week, the squad from the Philadelphia, PA campus will be off to Les Sables-d’Olonne, France, to compete in the world’s largest intercollegiate sailing event, the 46th EDHEC Sailing Cup. The EDHEC Sailing Cup on April 25 to May 3, 2014 is the biggest intercollegiate offshore regatta in the world. The USA will be the most represented foreign country with five teams. Drexel University will be joined by University of Chicago, Tufts (2 teams) and Georgetown. Canada will have two teams: University of Laval and HEC Montréal...."
Huson man dies after sailboat capsizes near Port Townsend: "A Huson man died after a small sailboat capsized Sunday near Port Townsend. Police say 57-year-old Stephen I. Halpin of Huson was sailing with his wife and another woman in a gathering of dinghies known as SCAMP boats when their vessel overturned. Another sailor picked up the three from the water, and they were on their way back to shore when Halpin went into cardiac arrest...."
PUMA Ocean Racing in the 2011-2012 Volvo Ocean Race from Amory Ross on Vimeo. I keep a blog about our family adventures aboard, and write for sailing magazines ...Sailing Papillon also appears on SAIL magazine's SAILfeed. Today, 17-year-old Rajnikanth is a regular on the country's sailing circuit, fostering hopes of qualifying for international events in the coming years. 2014 Teen Sailing Camp. MCCS Summer Youth Programs. Registration Forms. Name of Camper: Age: Address: Sponsors Name: Sponsors Rank:. Sailing on Patmos Island to other nearby islands is a really exciting experience! | See more about sailing, yachts and athens greece.